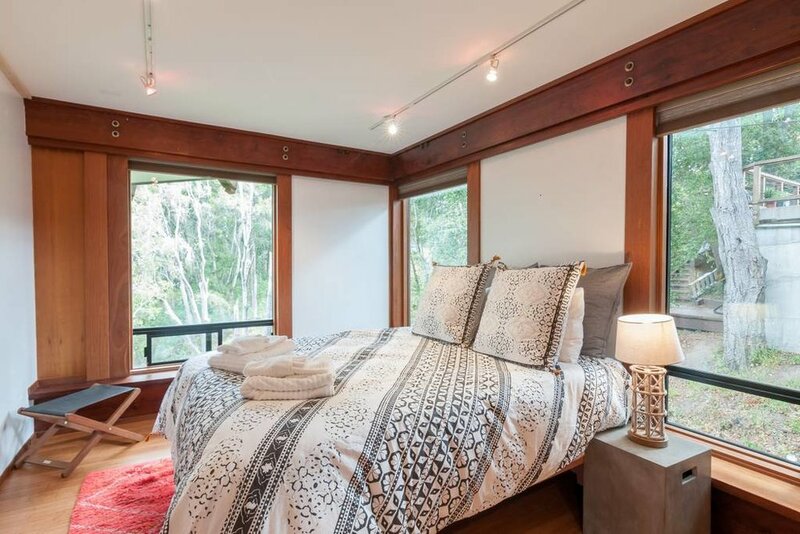 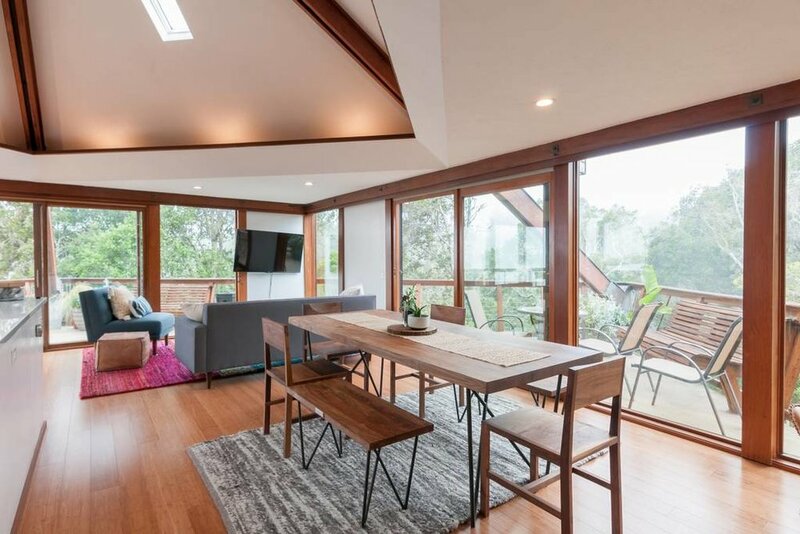 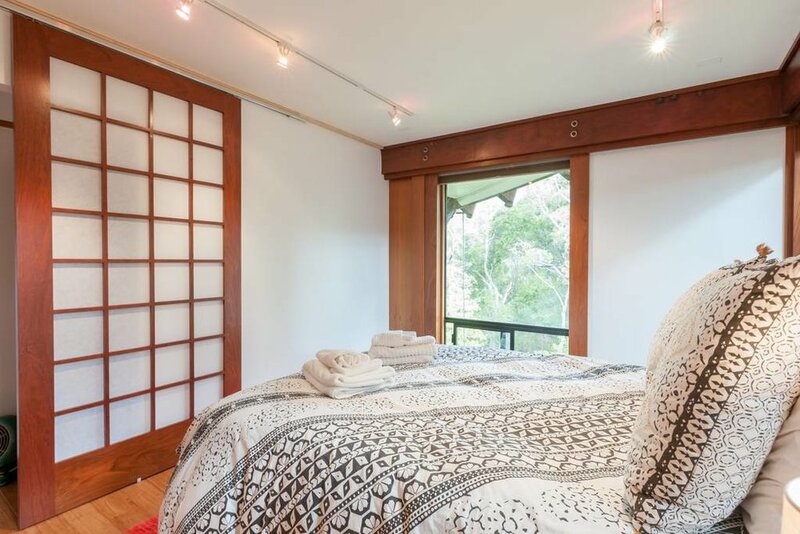 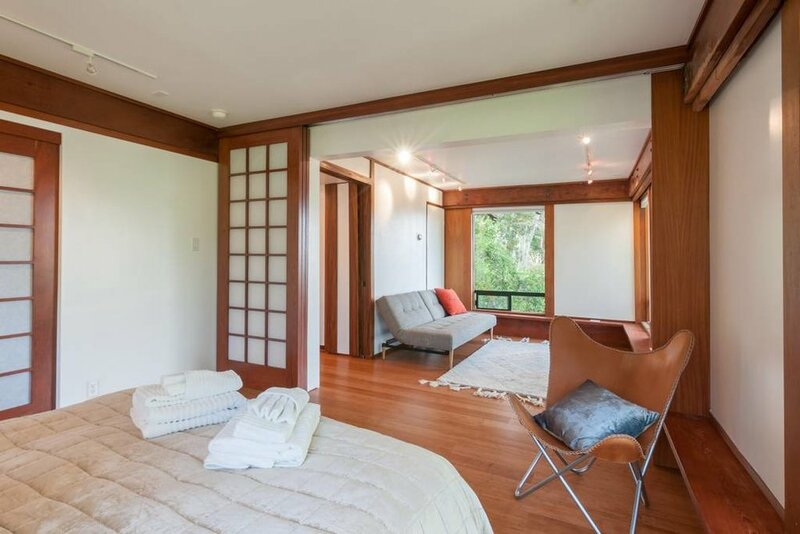 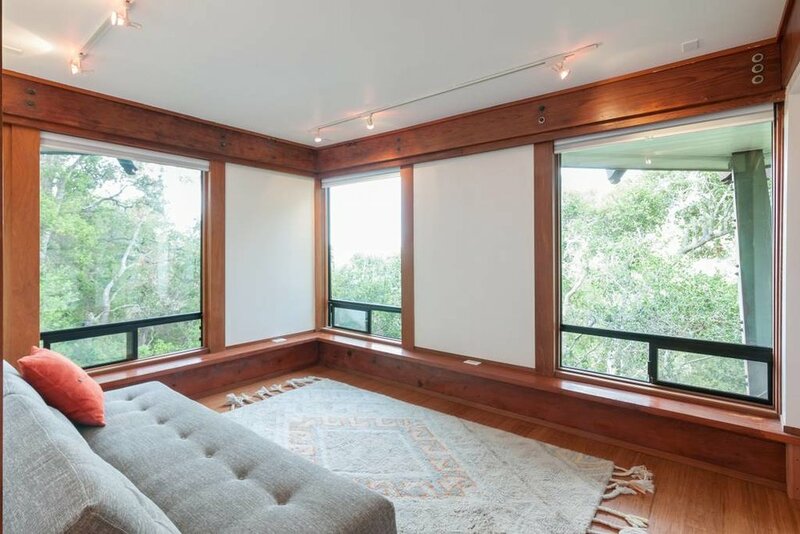 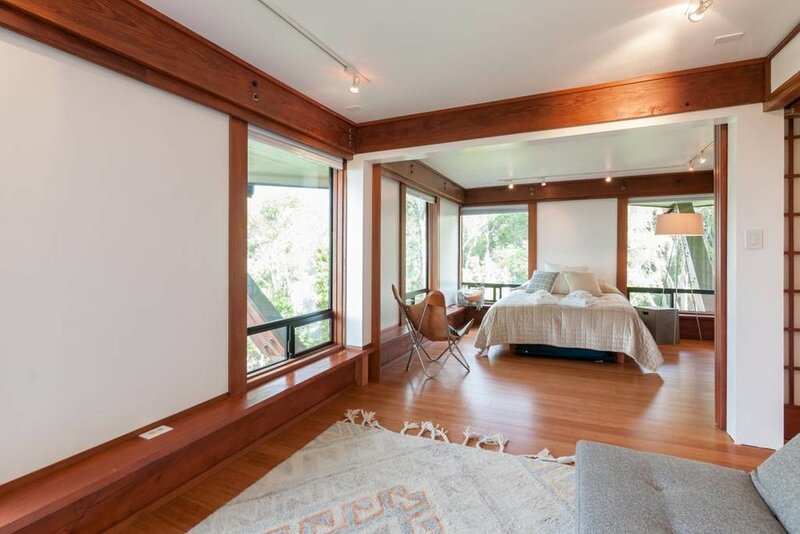 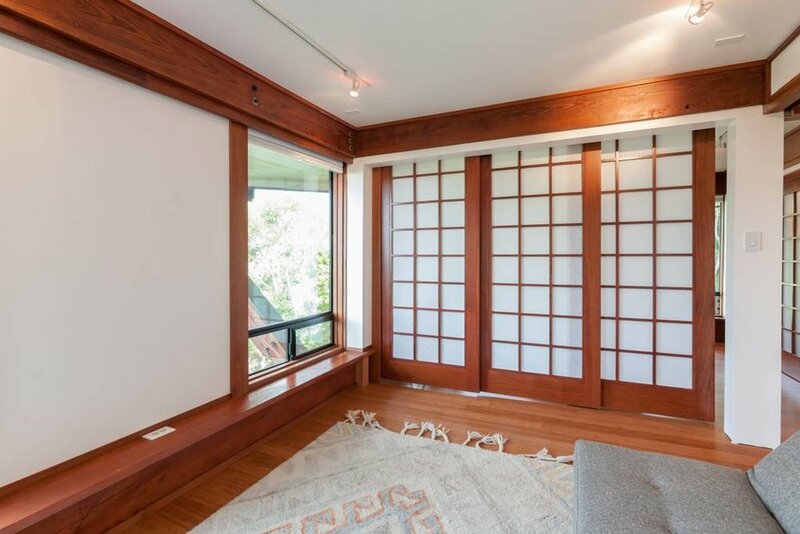 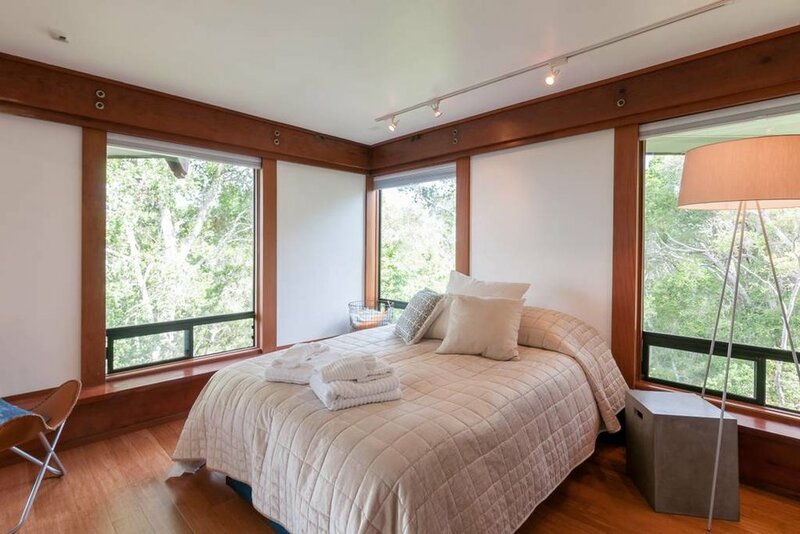 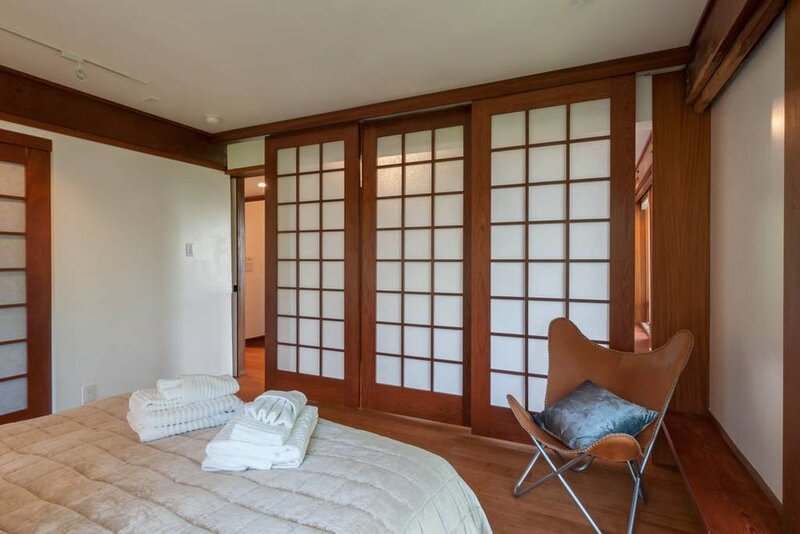 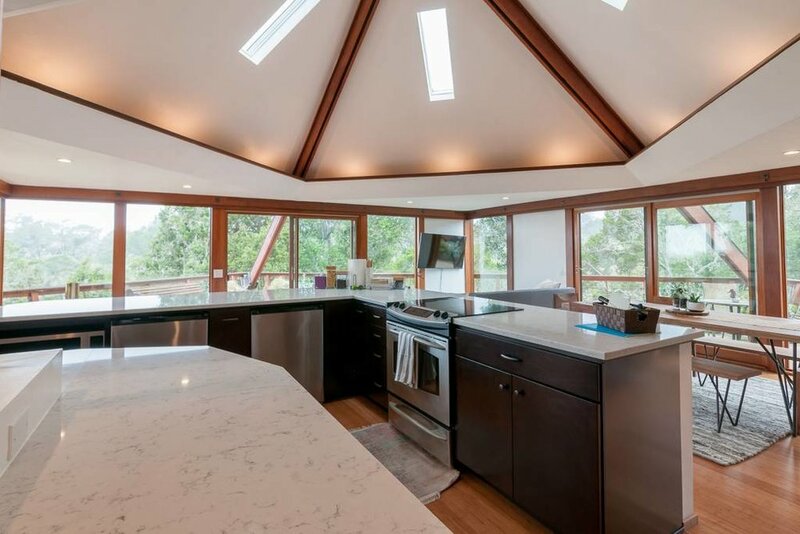 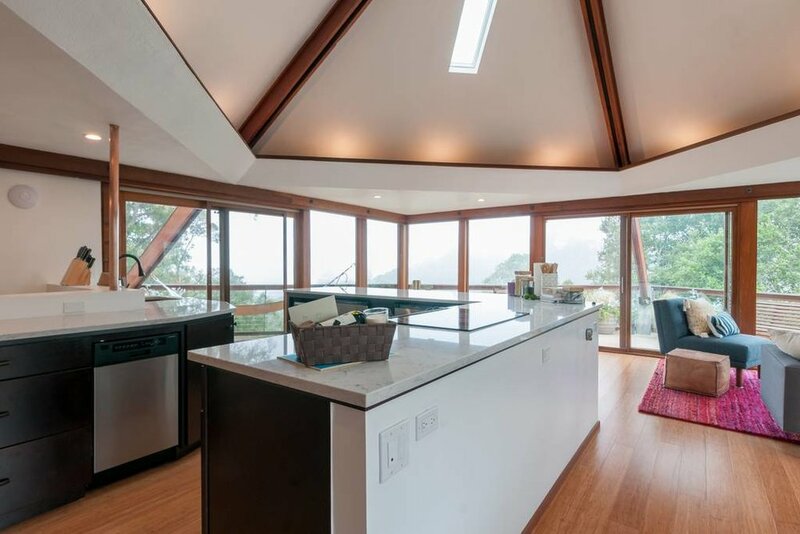 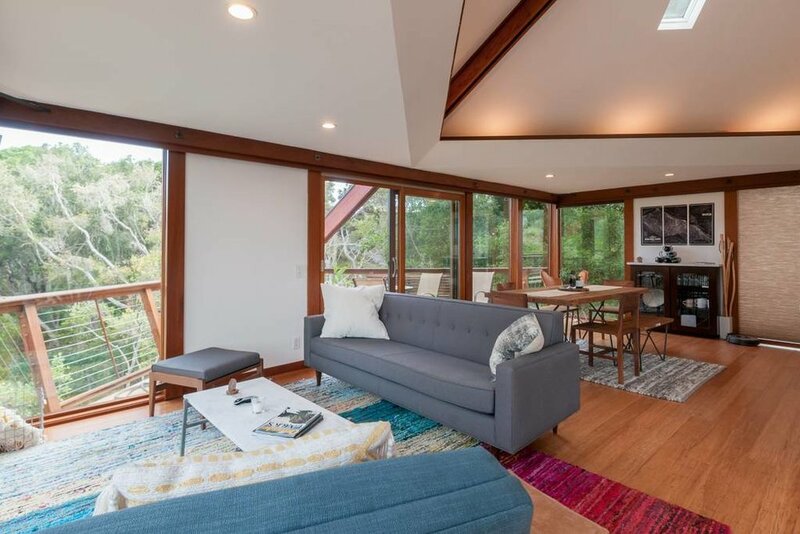 This tree-house style home features a sleek, modern style mixed with the warm hardwood accents and floors to give you that relaxing retreat feeling. 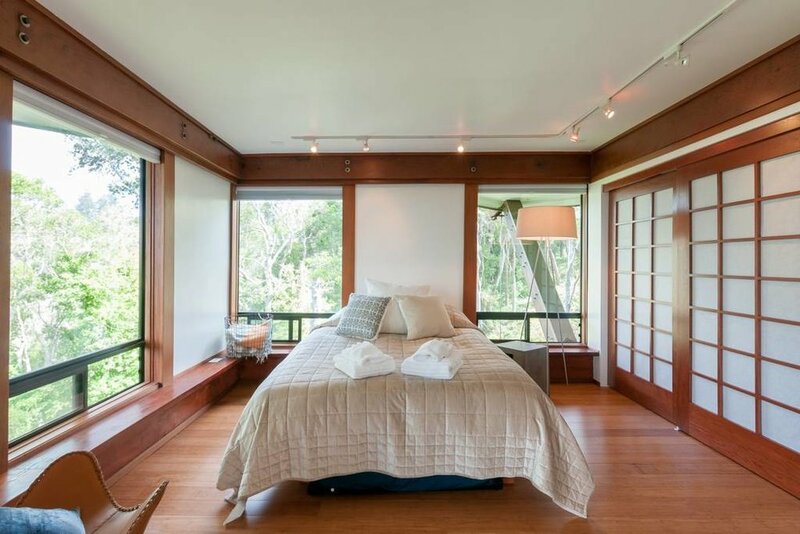 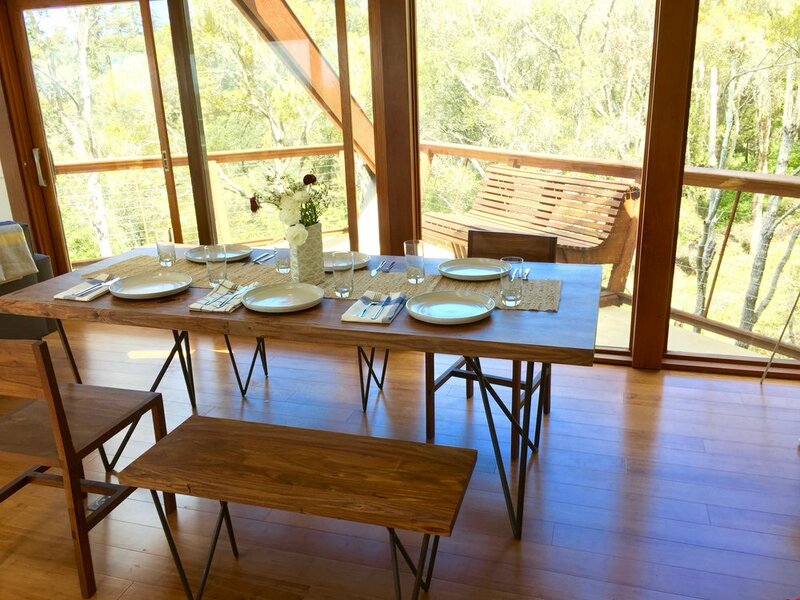 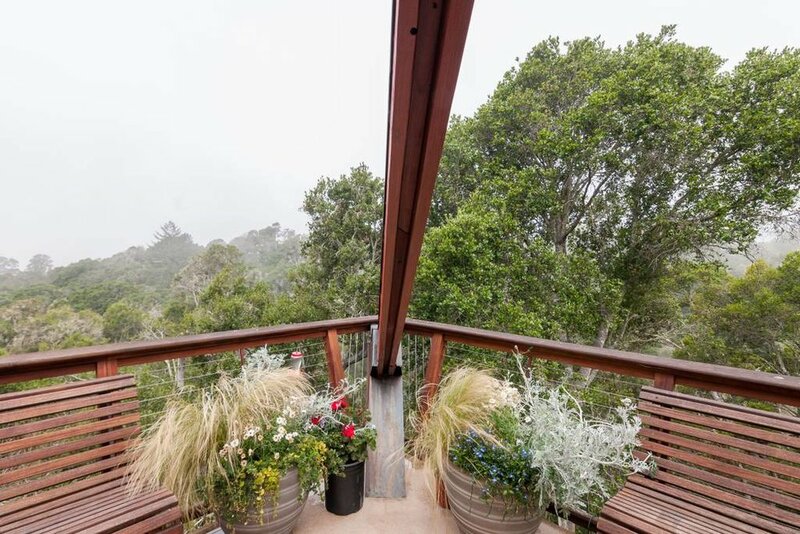 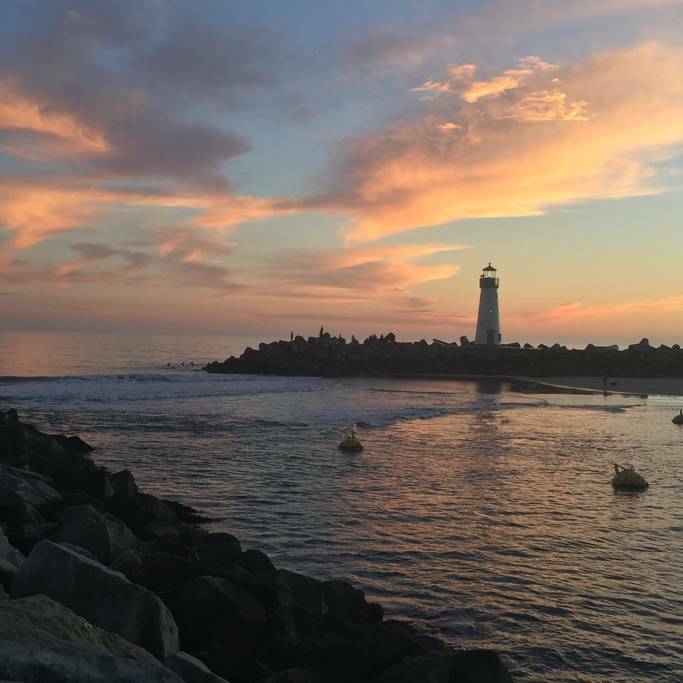 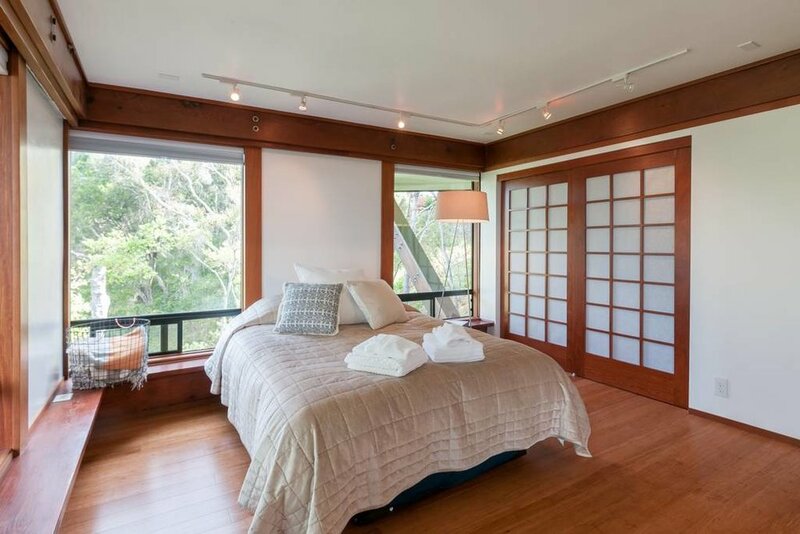 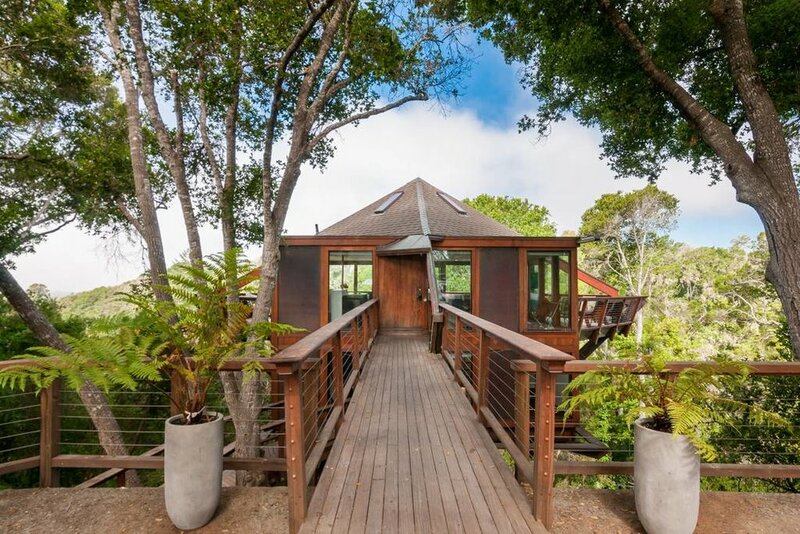 The floor to ceiling windows throughout the home and three separate decks allow an exclusive view of the California Redwoods- not to mention the stunning sunsets from the unforgettable ocean view. 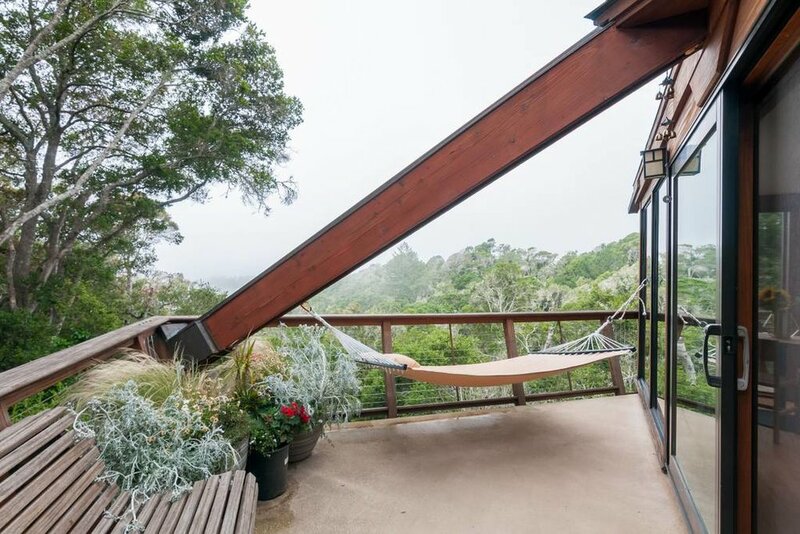 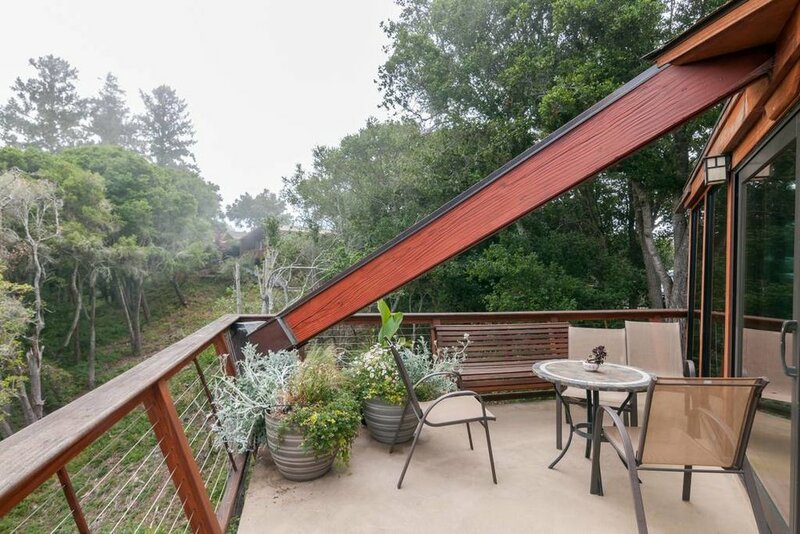 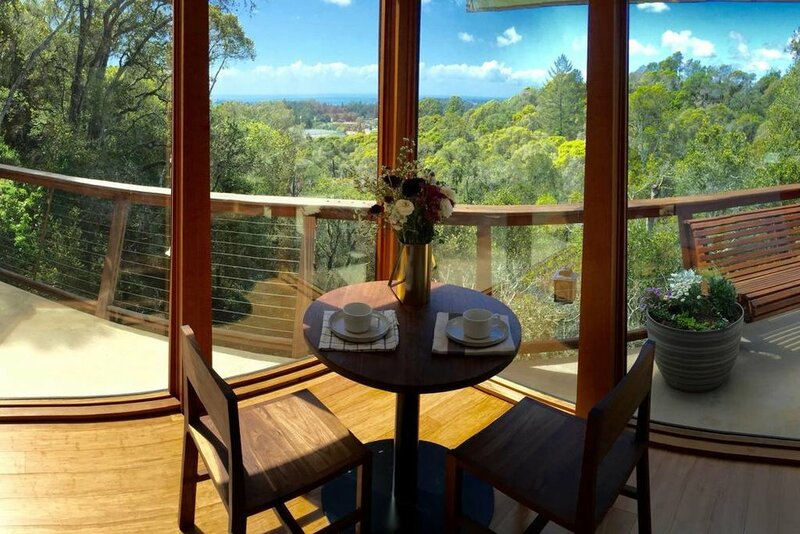 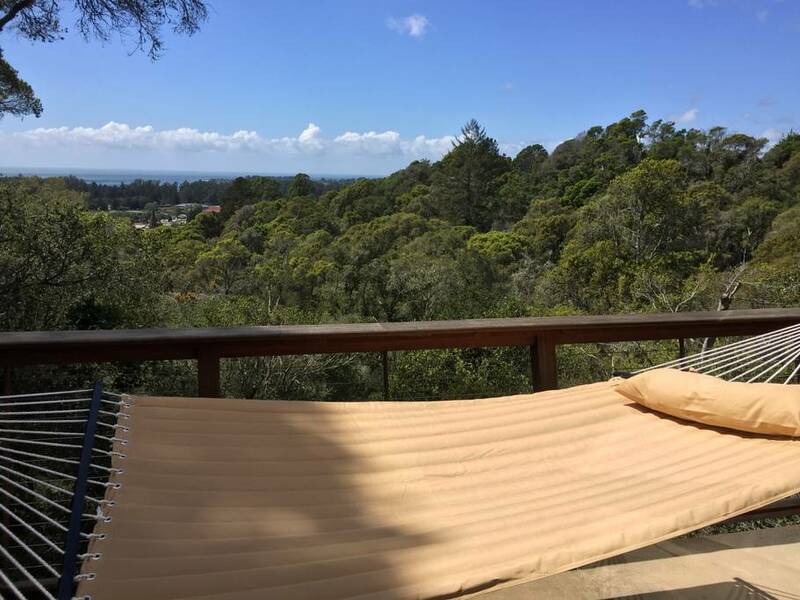 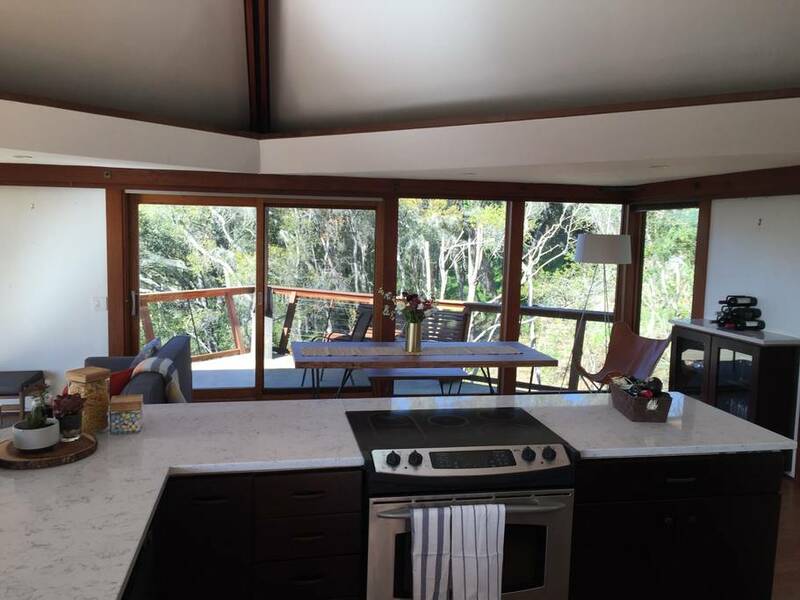 Perfectly located in the peace and quiet of the treetops while being just a couple minutes from shopping, the beach, and hiking. 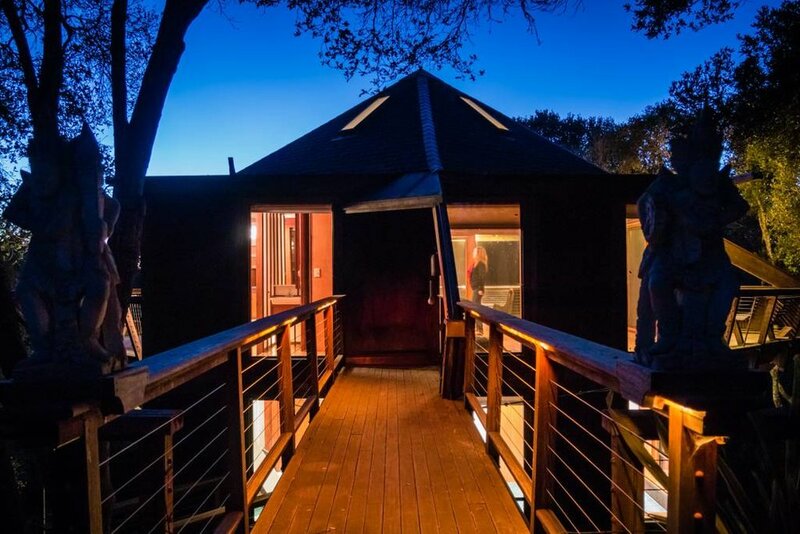 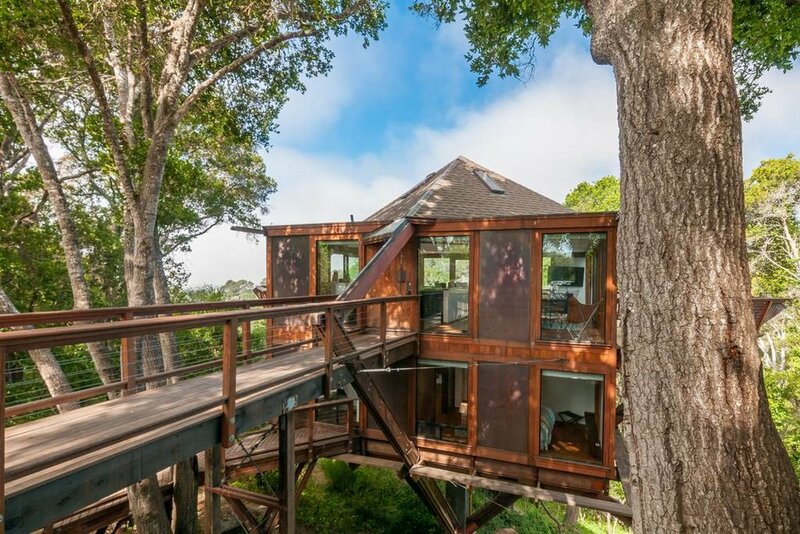 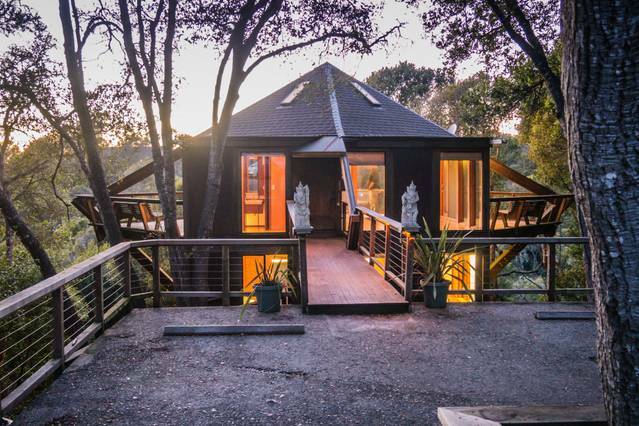 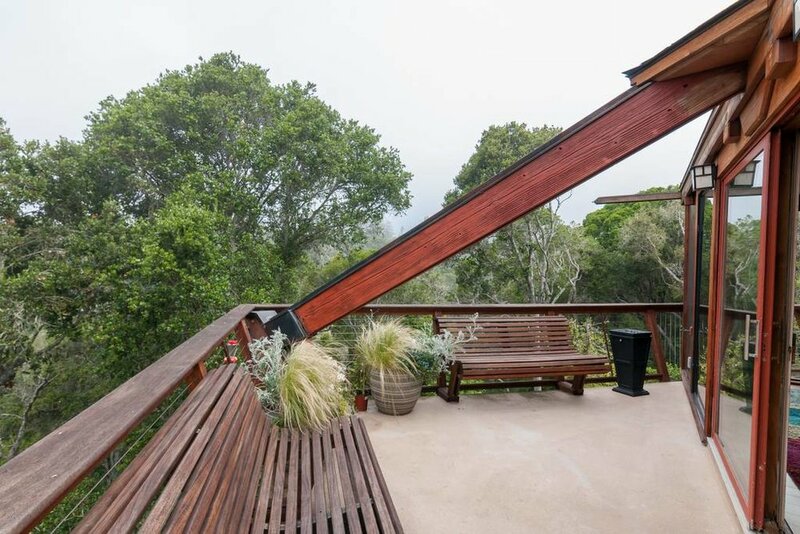 Featured in Sunset Magazine "11 Amazing Treehouse Designs"!